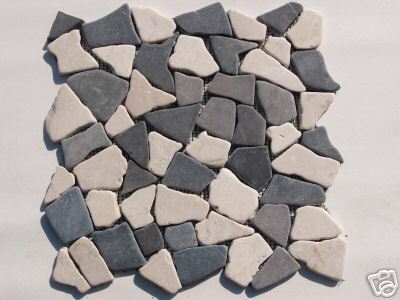 Marblemosaics Ltd offer a wide range of flat rock mosaic tiles at wholesale prices direct from the importer from only £ 28.99 per m2 fully inclusive of vat. Our tumbled marble mosaic tiles are made of all-natural Stone, Marble and Quartz sourced from the four corners of the globe. 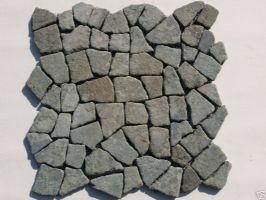 Each stone is hand picked and sorted by colour, size and thickness and then bonded one stone at a time to unique 30 cm by 30 cm interlocking mesh patterns. The finished result is a gorgeous effect with no visible seams. 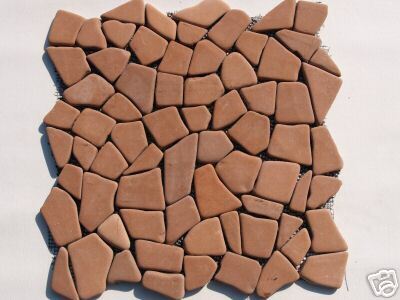 The mosaic tiles are perfect for many applications including showers, backsplashes, floors, walls, wet rooms, pools and pool decks and landscape design etc. Although these are very cheap mosaic tiles the quality is second to none. So if you are seeking a cheap mosaic tile that is easy to lay and cost effective then a flat rock marble mosaic tile is the one for you.